After exploring the whole town, we realize the only thing open is the small post office (the two restaurants are only open Thurs-Sunday, the ice cream place is only open Saturday, and the two banks and gas station have gone out of business). It becomes comical as we realize there is no chance of getting Halloween pumpkins (or even any food) here. The kindness of strangers, however, continues. One neighbor offers the use of her dock, another motors out to ask if we need anything (including the use of a car), and a random stranger drives Matt to the next town to get pumpkins. The next day an older gentlemen motors out with two dogs and offers to take the boys to his yard so they can get off the boat and run. 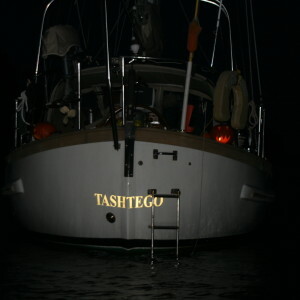 We have just met him and yet we let the boys go (we can see them from the boat). 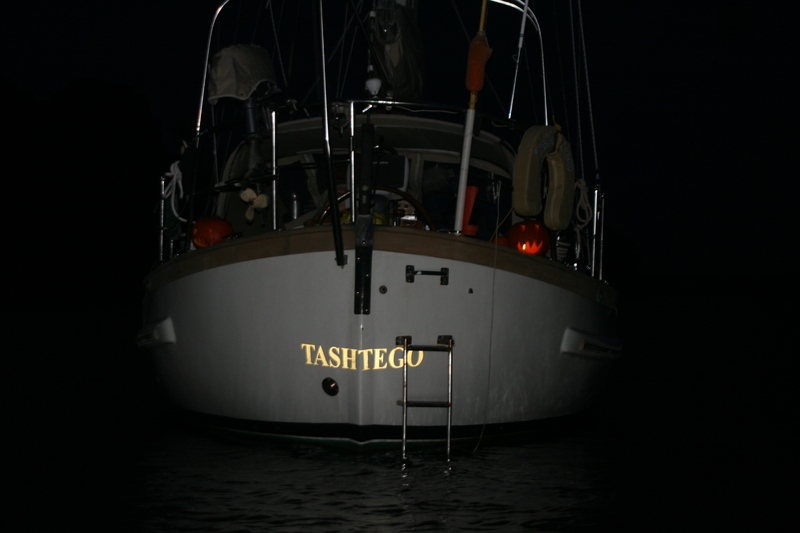 We later row the dinghy over and sit with him on his porch. The next day, while visiting the town museum, we realize he is the narrator in the movie we are shown. Matt and the boys carve pumpkins and then get dressed for Halloween. 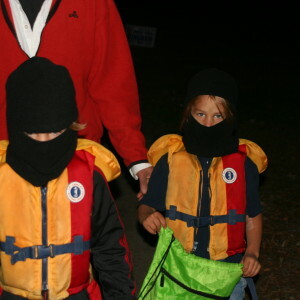 They are ninja sailors – or maybe sailing ninjas. 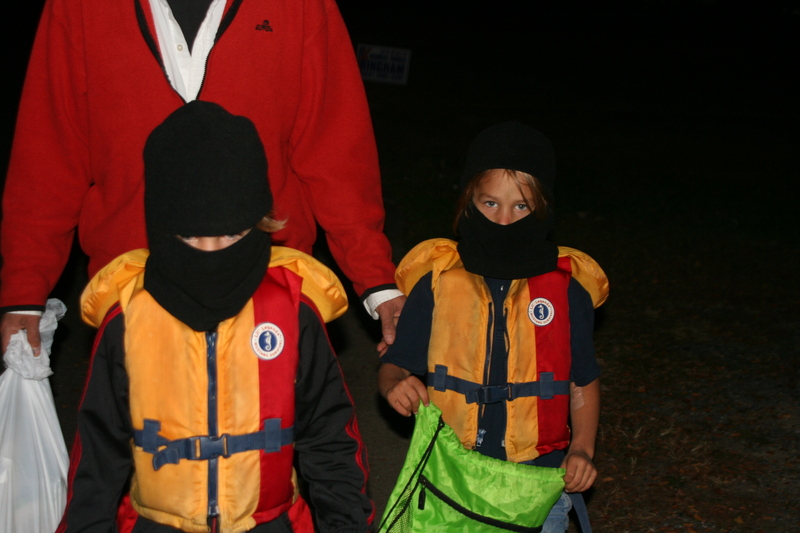 We put jack-o-lanterns on the back of the boat before we row to shore. We trick or treat on the one main street. A few of the houses are spectacular – with a ghoul sneaking up to me from behind a tree. I scream. Matt and the boys think that it is hysterical.